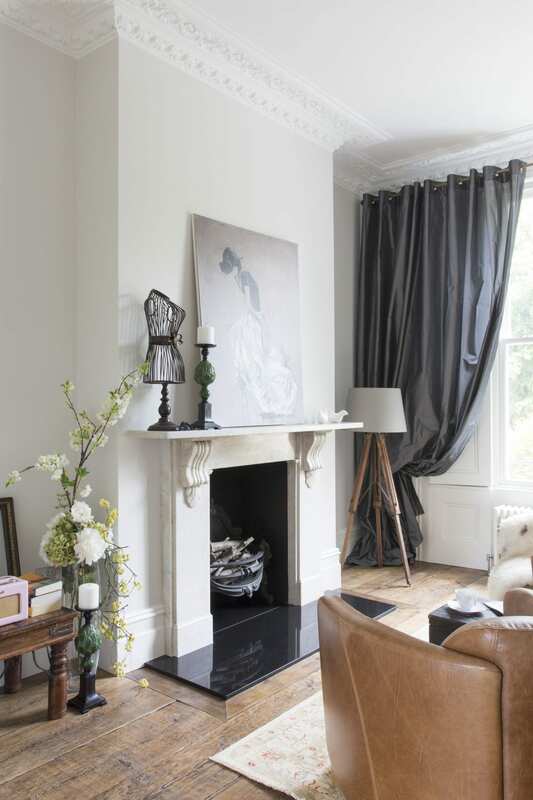 A beautiful character property where classical elegance meets contemporary design. 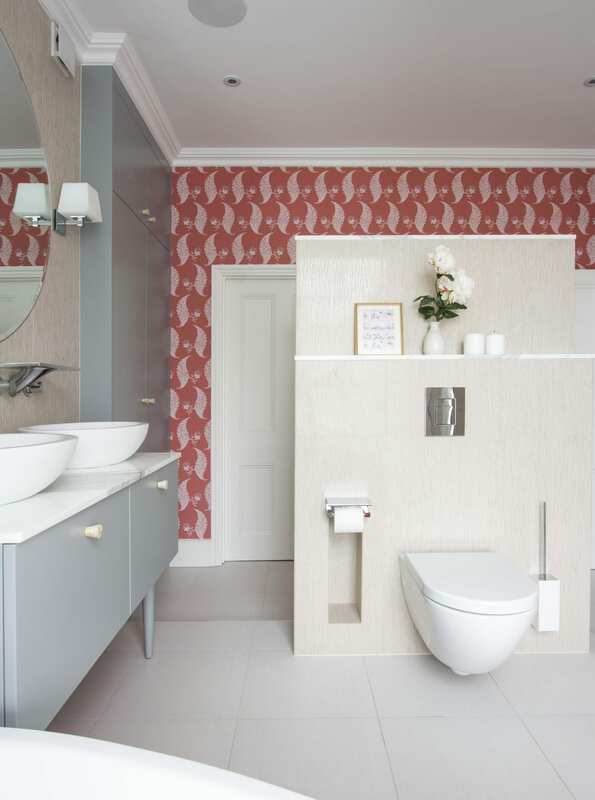 This project required a lot of work and clever design decisions to ensure all areas of the house ware considered. Our in-house team of builders worked very hard to ensure every detail was taken care of and high standards were maintained throughout the entire build. Sophisticated drama would probably be the best way to describe the arrangement of this gorgeous room, where every detail has been accounted for. 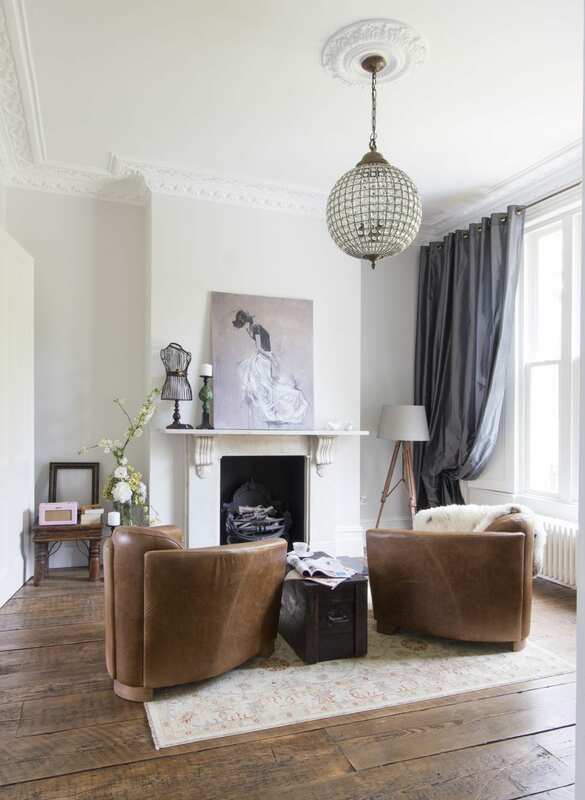 The seamless blend of styles in this sitting space conveys a contemporary feel with an organic mix of vintage, rustic and glamour. 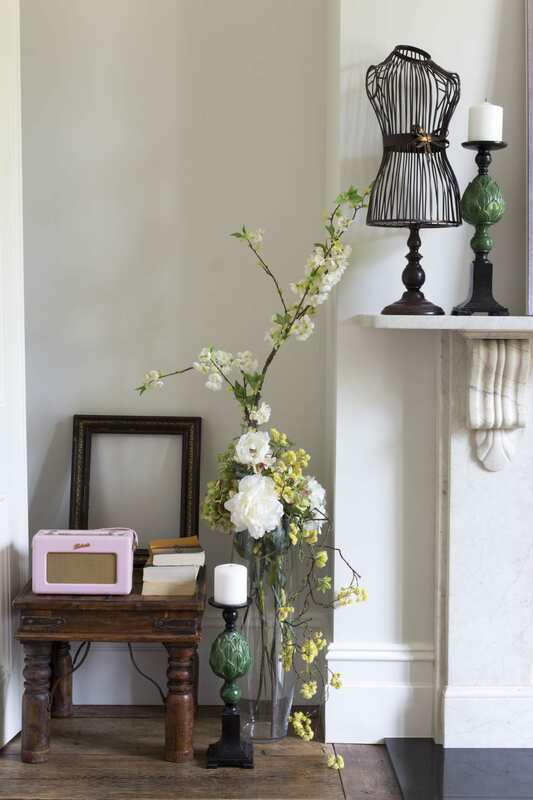 We kept original features and chose a neutral colour palette to complement the clients furniture, creating a sense of quiet sophistication. 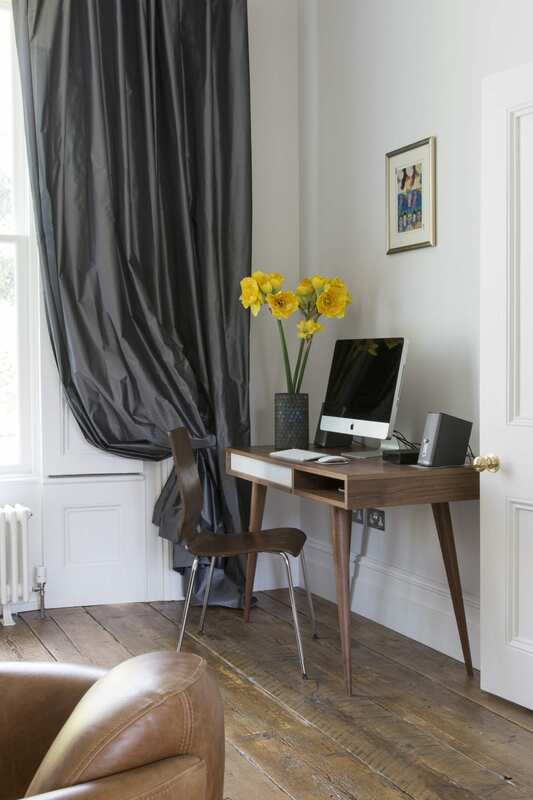 A small work space sits quietly in the corner forming a coherent continuation of this humble room and clever injection of yellow flowers works beautifully against the wooden finishes. 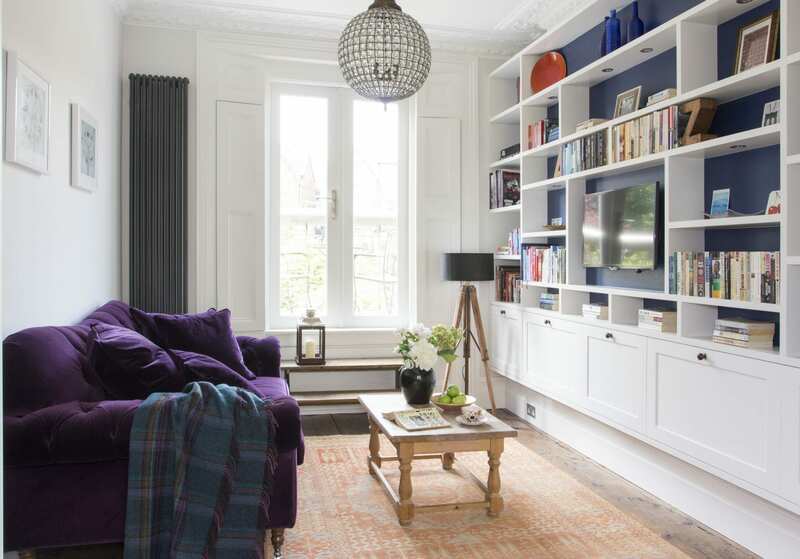 A less-formal feel is achieved in the family room with bold colours. 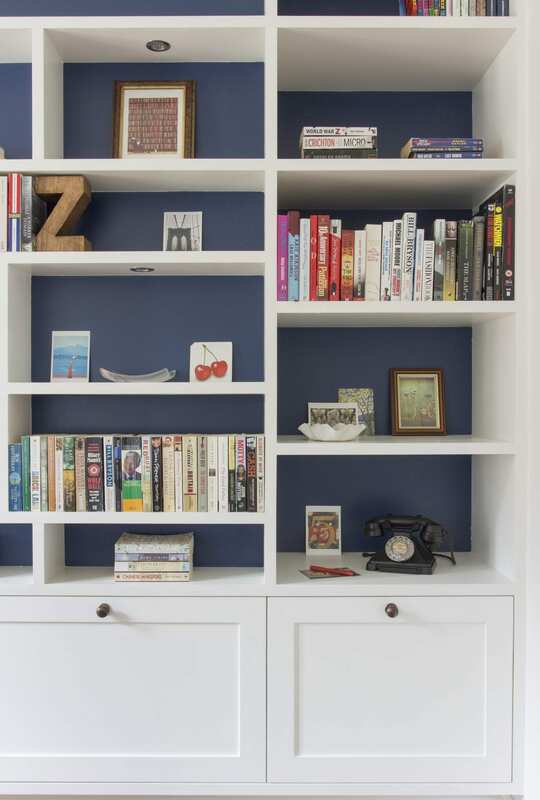 We designed and created this bespoke shelving system so the client could store personal items such as books and photos to create a family vibe to the space. 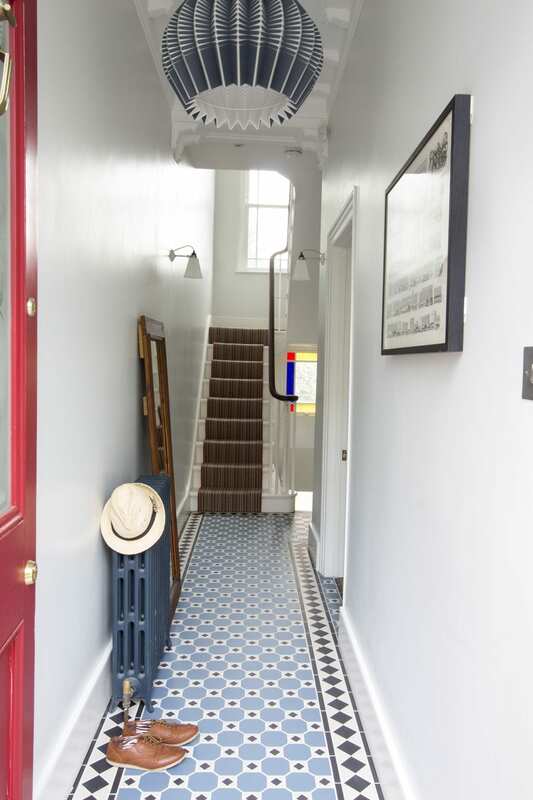 This space has been made with built to measure shelving units and back walls have been painted aquamarine blue to add character and depth to units. 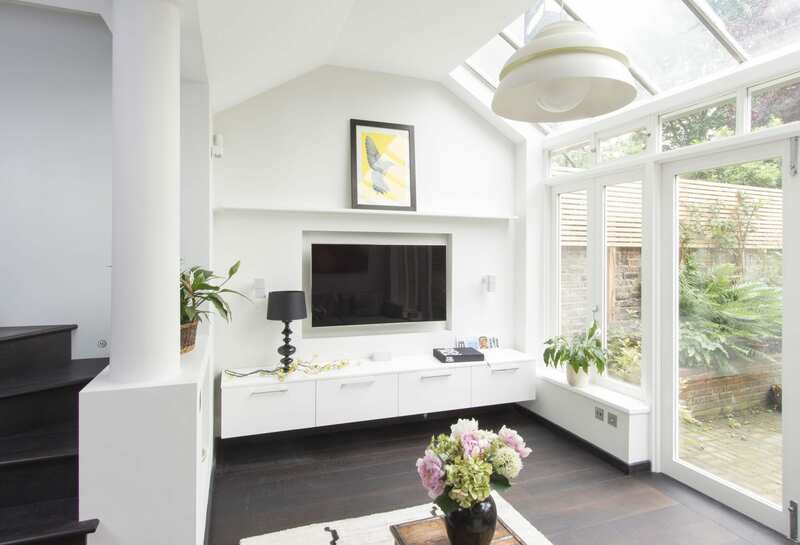 This light filled room is simple and quite calming, a great addition to an overall vibrant house. 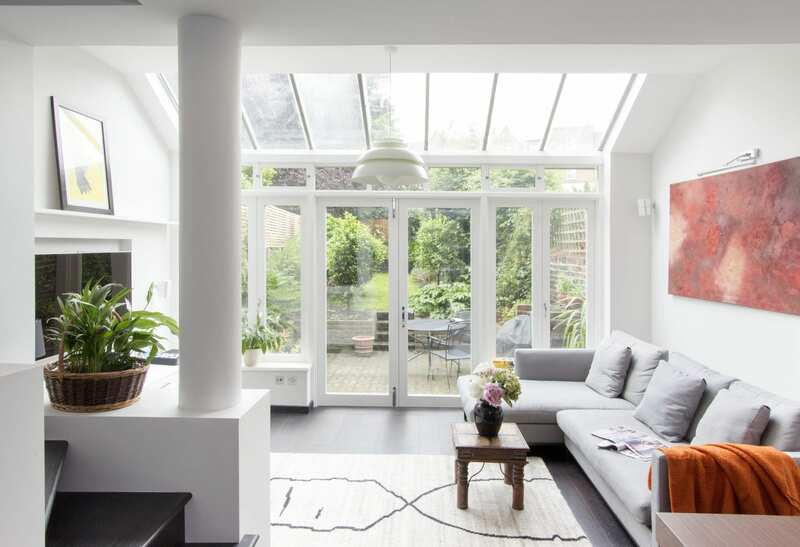 Light bounces off of the walls and the large panelled windows bring natural light into the space which give a relaxing atmosphere to this space. Our clients wanted a sociable space. One that combined style with functionality. 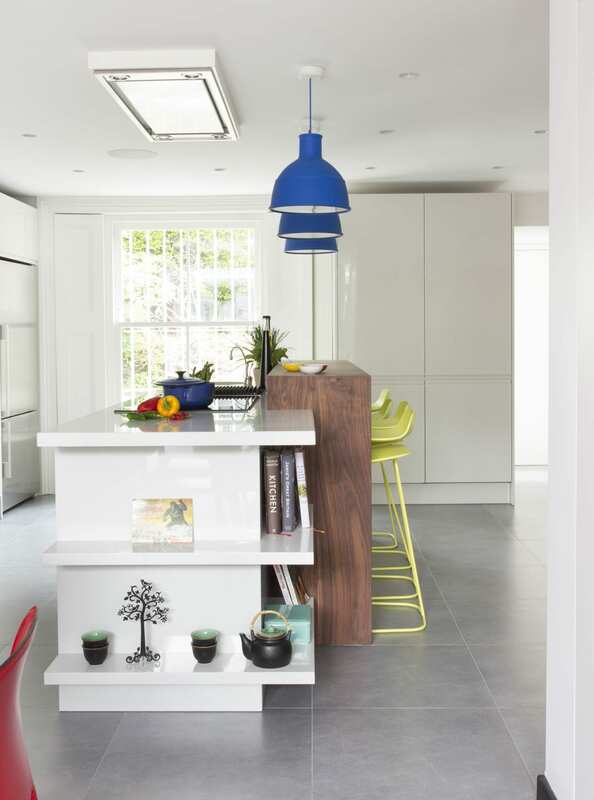 We created separate designated areas: a dining area, an island breakfast bar and the kitchen. This allowed for a free-flow of people — perfect for entertaining. The breakfast unit sits in this kitchens extraordinary angular features which echo the unique contours of the kitchen itself. 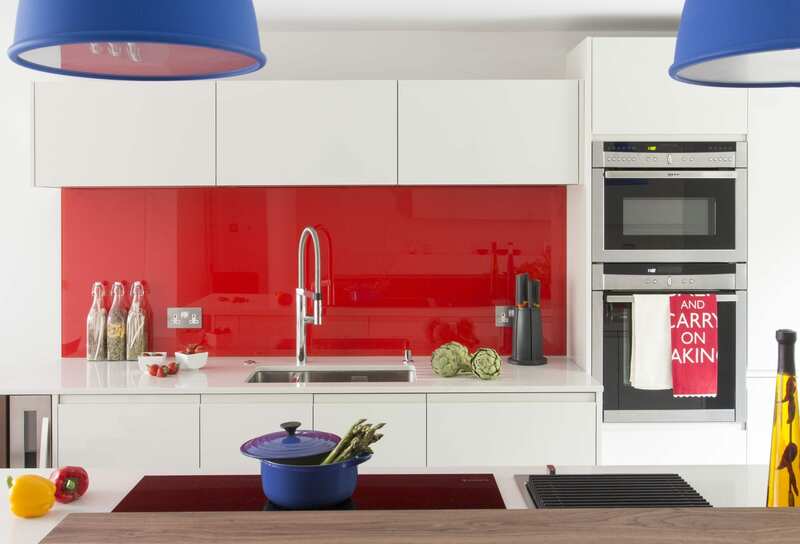 This vibrant open plan kitchen diner has a fun lighthearted feel with bold splashes of colour, injecting personality to the plain white walls and cabinetry. 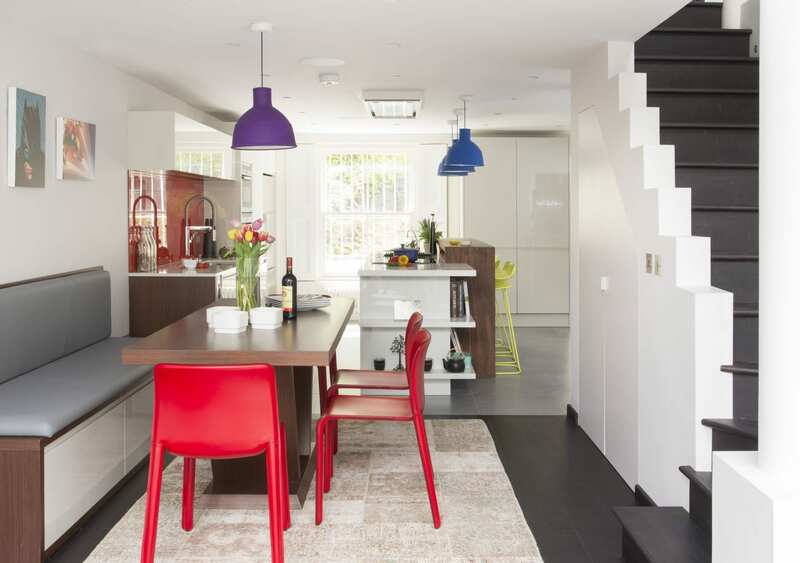 The open plan dining room echos the colour palette of kitchen to create a harmonious and intertwined space. 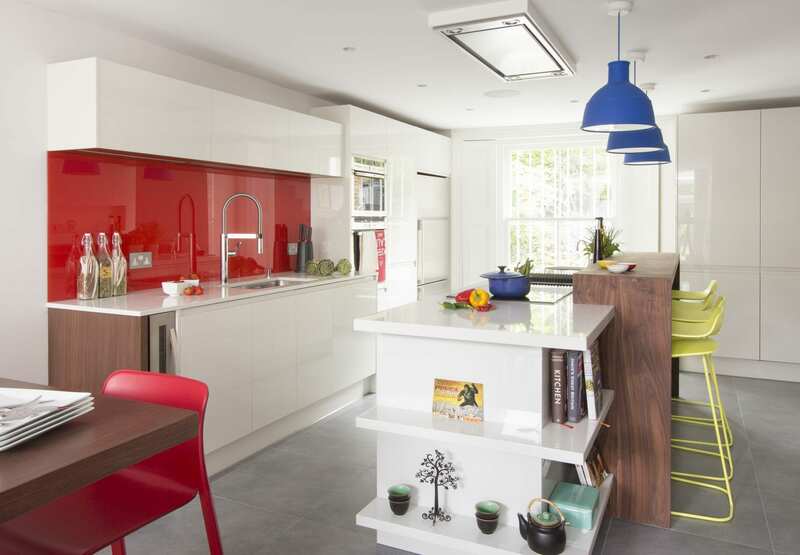 All cabinetry and the dining table is fully bespoke, designed and installed by Amberth. 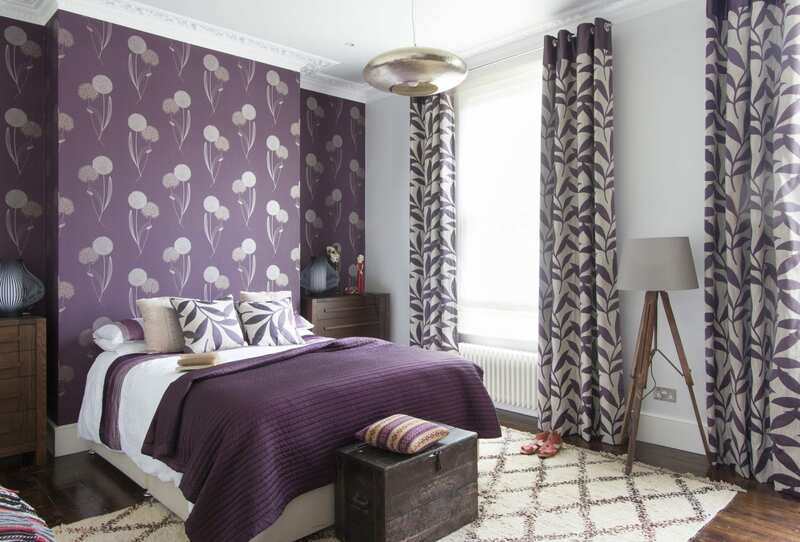 A brave choice of colour is used to form quite a dramatic look in this bedroom incorporating pattern and texture. 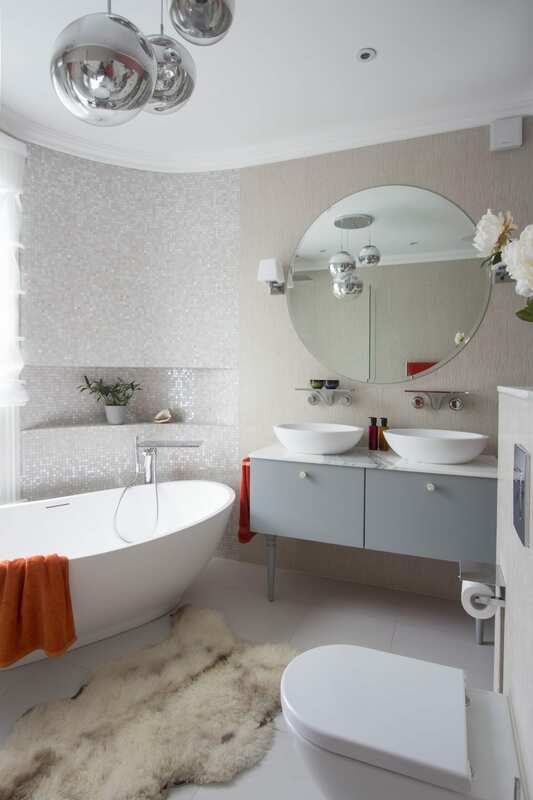 The luxurious master bathroom, incorporates a free standing bath, two round counter top basins and a large round mirror. Large ceiling pendants helps establish an Art Decor vibe. 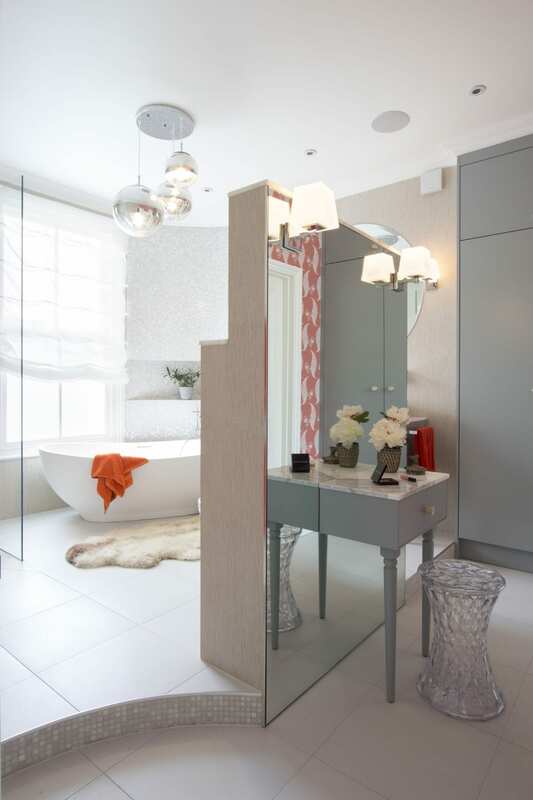 The bold fixtures and fittings incorporated wit this soft colour scheme exert luxury. 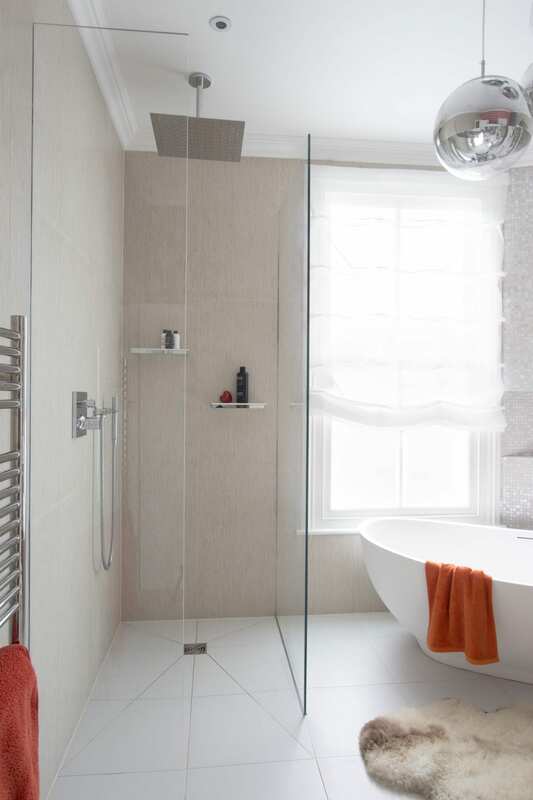 The separate shower adds intimacy in this large space. 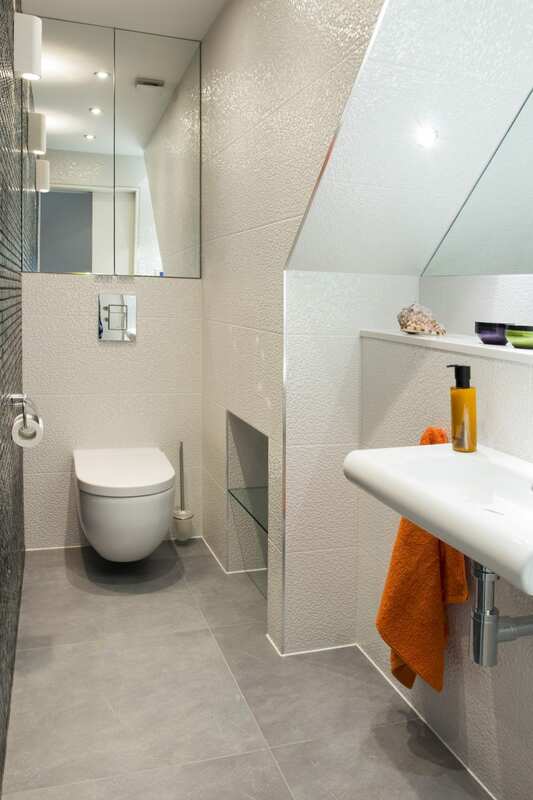 The space flows beautifully with neutral finishes that complement each other. We installed a mirrored chandelier and large dressing area to create a simple yet decadent space our clients could enjoy.